An F150 lift kit or leveling kit is practically a must-have item if you're planning on taking your 4.6L or 5.4L 1997-2003 F150 off the beaten path or if you want a mean look for street driving. 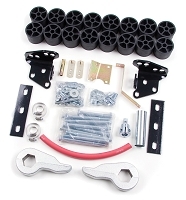 We carry F150 lift and leveling kits ranging in size from basic 2" body kits to performance-oriented 6" lifts with heavy-duty shocks and hardware that can take whatever you can throw at them wherever you need your truck to go. A big F150 lift kit and off-road tires are going to need some extra power behind them for towing, hauling or off-road use, so check out our 4.6L & 5.4L F150 cold air intakes and our 1997-2003 F150 exhaust systems. 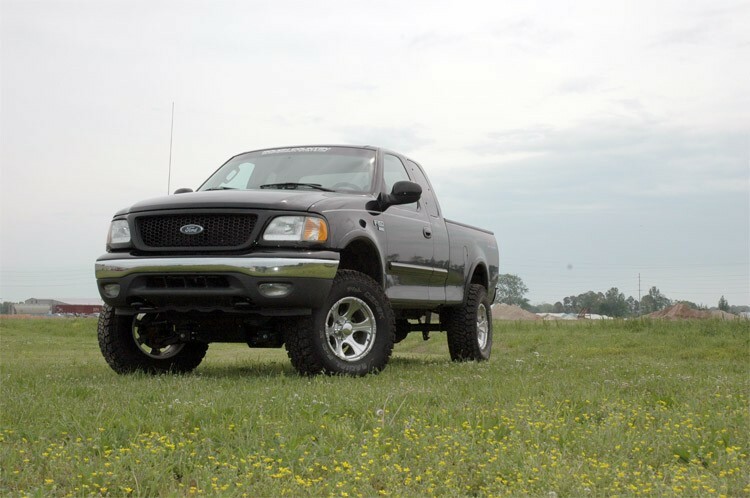 One of the best ways to easily rejuvenate your 1997-2003 F150 is by adding a leveling or lift kit in order to have the clearance to throw on a combination of custom wheels and rugged off-road tires. Whether you use your F150 for work that involves hauling heavy loads, towing or if you just want to go have some fun romps on some off-road trails, those skinny stock tires are most likely not going to get the job done and by increasing your ride height you'll have the advantage of being able to add 33" to 35" tires without any trouble of rubbing. Whether you're on a budget and just want the looks or if you're serious about off-road handling, our leveling and lift kits are some of the best you'll find on the market. For a well-rounded and aggressive look that gives you a more commanding view of the road and the advantage of throwing on some 35" off-road tires, a 4" lift is a great way to go. 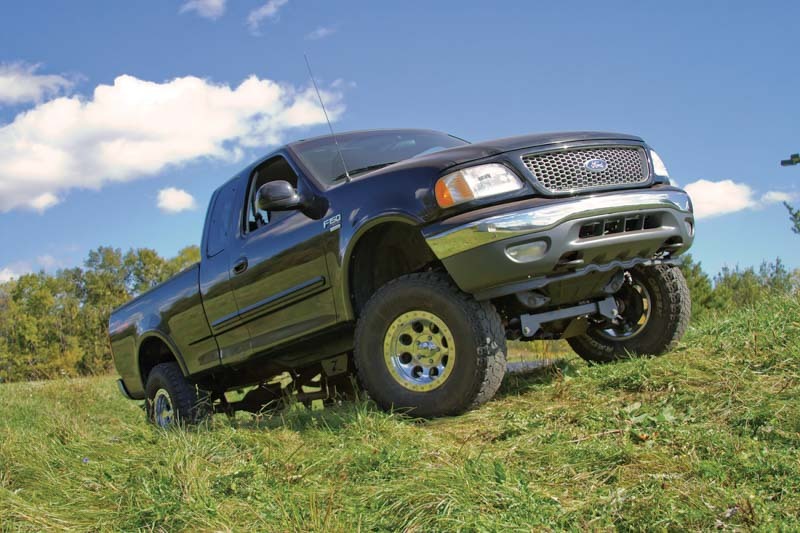 The 1997-2003 F150 4WD Rough Country 4" Lift Kit comes with tough and durable hardware that makes it perfect for nearly any application and allows it to serve as a platform for other suspension modifications so that you can get the perfect setup for hyper-aggressive off-road applications. Rough Country's 4" Lift Kit comes with everything you need to lift the front and rear of your truck for an awesome, tough look and much more clearance. In addition to the high-quality lift components, Rough Country even throws in (4) premium N2.0 Series Shocks for the front rear of your F150 for improved handling on and off the road. For a massive and much more aggressive lift without sacrificing your on or off-road ride quality, one of the most popular lift kits for the 1997-2003 F150 is Zone's 4WD 6" Lift Kit. 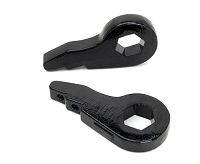 This high-quality and extremely durable 6" lift kit is not only economical but offers your truck some suspension elements that will transform your truck into your best co-worker on the job site or a reliable way to blaze some off-road trails without breaking a sweat. With this 6" lift you'll be able to throw on an awesome combination of custom wheels and up to 35" tires, making your F150 the envy on the streets and off-road.